Plexing is the means by which Faction War pilots take, or defend systems within a warzone. Offensive Plexes - A plex is considered an 'offensive' plex if you are running it in a hostile system. Running these plexes make the system more contested. If a system reaches 100% contestation, the system becomes vulnerable, and the I-HUB can be attacked. Each system has a base point value of 3,000 victory points, and each plex is worth around 20 victory points. Some systems may have more or less than 3,000 points toward stability or vulnerability depending on the number of temperate planets in the system, and the status of the Dust 514 war on those planets. Dust 514 players can affect the base system points by up to +-12.5% for each available planet. Systems with no temperate planets have a static, 3,000 point value. So, let’s get down to business. What does running a plex actually entail? Where can they be found, and what should be expected? If no plexes show in the scanner, it might mean that there are no avialable plexes at the moment. This is rare, but occasionally happens if pilots are actively running plexes in a system. Plexes remain 'hidden' and only visible in the probe scanner until a pilot warps to it. Plexes that have been activated will become public knowledge to players in that system, through a beacon. If you have the relevant overview settings setup to show these beacons, the beacon will appear on your overview. The beacon will remain until the plex is completed, and pilots can warp to it without using their system scanner to find the plex. Note: A non-miltia pilot cannot count down a timer in a plex, though they can enter it freely if other restrictions, such as ships restrictions, are met. You cannot light a cyno inside a plex, or on grid of a plex's acceleration gate. Warping to fleet members inside a plex, or on grid of a plex's acceleration gate will cause you to land on the acceleration gate at 0. You cannot warp to objects, of pilots if both you and they are on-grid together inside, or outside of a plex. 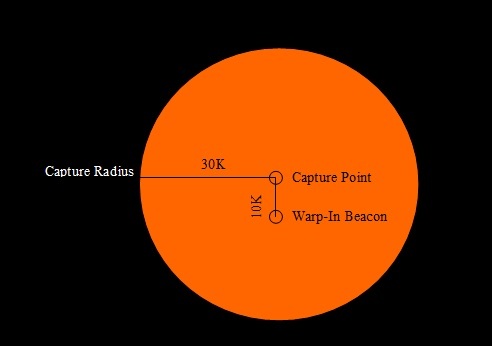 You cannot cloak within 30K of a plex's beacon. If you are running the plex offensively, you must kill any NPCs that spawn inside the plex. If both hostile, and friendly pilots are in range, the timer will pause until only one side remains. First, all plex timers start with a default time. (We will talk about plex sizes, and etc., later.) If a hostile has been running a plex, this will increase the amount of time you will need to run it to complete it. If a hostile takes a plex you have been running, the time will be extended for them. For example, Militia A has been running a 10 minute plex for 5 minutes, and Militia B takes over the plex. Militia B will have to run the plex for 10+5 minutes to complete the plex. Secondly, you must be in range of the timer in order to receive a share in the LP reward. We will talk about specific LP rewards available in a later section. You will gain 20 Victory Points, and the system’s contestation level will update, appropriately. You will receive the appropriate LP reward payment, if you were in range of the timer. You will receive a standings increase for your militia. The plex’s beacon will disappear. If you complete a defensive plex when your system is vulnerable, causing it to no longer be vulnerable, any damage done to the I-HUB will be removed. The hostile militia will have to plex the system back into a vulnerable state, and attack the I-HUB from scratch. Running defensive plexes in a stable system, or offensive plexes in a hostile system will not yield any LPY payouts. You cannot 'buffer' a stable system, but you can slightly buffer a vulnerable system. (In other words, a system can't be more than 0% contest, but can be slightly over 100% contested. ) This means that running a single defensive plex while the system is vulnerable will not necessarily take it out of a vulnerable state. Now, I will discuss the specifics of the structure of plexes, including plex geography, spawning cycles, restrictions, types, LP reward amounts, and etc. *Note: Tech 3 Cruisers can only enter unrestricted plexes. Novice, Small, Medium, and Large Compound plexes each spawn in about 30 minutes from the time of completion. It is possible, however, to have multiple Compounds of the same size available in the same system --especially after downtime if earlier Compounds were not completed. 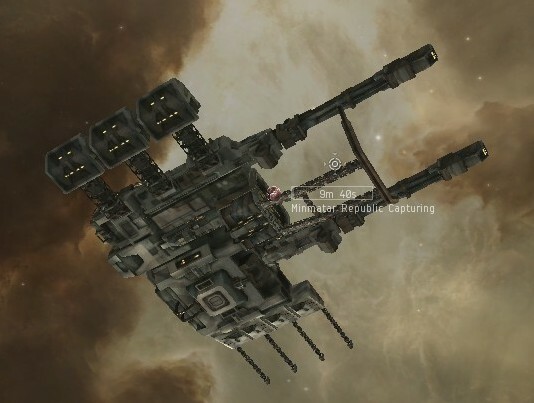 Facility and Stronghold plexes spawn randomly based upon factors that have not been made public by CCP. These plexes tend to spawn the most directly after downtime. Loyalty Points are used as a currency within Faction War, and can be turned in through the militia Loyalty Point store for a variety of items including faction ships and modules. Note: Upon completing a plex, you will receive a notification specifying how much LP you earned. You can view your total LP in your journal, under "Agents-->Loyalty Points"
The warp-in on all plexes is 10K from the capture point. However, the capture radius (the distance you need to be from the capture point to continue counting down the timer) is 30K. Therefore, you will land within the capture radius when you enter a plex. As I mentioned earlier, there are restrictions to warping to fleet members in and around plexes, as well as restrictions to other movement scenarios. If you are somewhere else in system, and warp to a fleet member on-grid of the plex's acceleration gate or inside the plex, you will land on the acceleration gate at 0. If you are yourself on-grid of the acceleration gate, or inside the plex, warping to any fleet members who are also inside the plex or on the acceleration gate will fail. Warping to an object inside the plex or on-grid of the acceleration gate will fail. The same rules that apply elsewhere to warping to cans and wrecks do not apply inside, or on the acceleration gates of plexes. You cannot warp directly to the plex's acceleration gate when you are inside the plex already. Attempting to warp to the plex beacon while you are inside the plex will fail. You must first 'bounce' to another location, and then warp back to the plex. If a fleet member is tackled on the acceleration gate, while you are inside the plex, you will not be able to warp directly to your fleet member, or directly back to the acceleration gate. If a fight is going on 200K away from the warp-in inside the plex, or 200K off the acceleration gate, you cannot warp to a fleet member in the midst of the fight, whether you are on-grid with them or not. You cannot drop cans to allow friendly, but non-fleeted militia members to warp to an engagement on the acceleration gate, or inside the plex. You can still warp to a plex at some distance. (For example, at 50K, or 100K, etc.) This will land you at that distance from the gate. However, warping to a fleet member at 50K or 100K will still land you on the gate at 0. One to Two NPCs will spawn inside each plex, and will respawn occasionally after a random period of time. If you are running the plex offensively, you must kill all hostiles, including hostile NPCs before the timer will continue to count down. The NPCs will not do any sort of electronic warfare against you, however, they cannot be speed tanked. 1. Will I lose/gain standings for completing plexes? Answer: Yes. You will gain standings in your militia's corporation, and will lose standings with hostile militia. 2. I completed a plex, and it didn't disappear. Is it broken? Answer: It could take as long as 15 minutes for a plex to completely disappear. Sometimes, it is not instantaneous. 3. Can neutrals get inside my plex? Answer: Yes. Neutrals can enter plexes, although they cannot count down the timer. 4. Can I run plexes for my Ally? Answer: Yes. 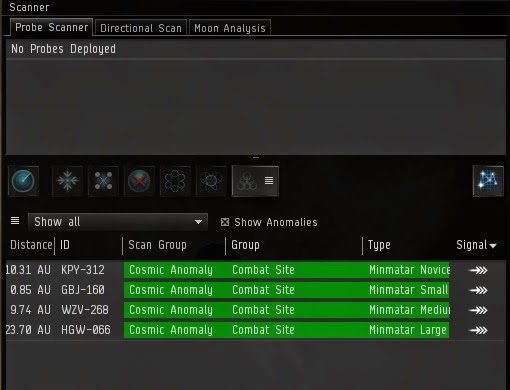 Amarr militia can run Caldari plexes and vica versa. Gallente can run Minmatar and vica versa. You cannot, however, target and destroy vulnerable I-HUBs for your ally. 5. What happens if I disconnect inside a plex? When I log back in, will I still be inside the plex? Answer: It depends on how long it takes you to log back in. Usually, if you log back in immediately, you will return to your location inside the plex. However, if some time transpires, you will instead land on the acceleration gate. Good noobie guide for FW Susan. Thank you so very much for making a guide that will save me personally countless hours explaining how all this works to my friend. As a member of Fweddit I thank you for this, and I apologise for the sperg we sperg at you and your compatriots from time to time. I enjoy your blog very much although I don't recall having commented before. So it might be a bit cheeky to make a request but here goes anyway. Could you do a post about which side to choose? For those of us outside FW it's very hard to know which is a good choice. Are Caldari terrible because they've just been roflstomped or is this the ideal time to join? Are Gallente kinda played out and declining now that they've peaked? Is Poetic right about Amarr resurging? Is it ok to pick a side for RP reasons and if so where are the roleplayers? I've updated the guide with a section detailing 'external factors' at work in and around the plex. The rules of what you can do as far as warping to fleet members, cans, the gate, and etc seems to be a common confusion --sometimes even for more experienced Faction War members. Very nicely done. A well-written and thorough guide. Thank you. The rare Eve tutorial in normal English. Realy useful guide, GOOD JOB ! One question/comment though: "The NPCs will not do any sort of electronic warfare against you"
Are you sure about that? Because remember getting jammed by a Caldari NPC once. 1. How do i get a System " Stable " ? 2. How do i get a System out of " Vulnerable" ? I'm a month old newbie trying to do FW and this is the most useful of all the guides available. Many thanks. Do the faction standings apply to races? Example - if i join Gallente fw will standings with Caldari get worse or just with the opposing militia? Anon, it's just factional militia standings that suffer. So when you quit beating the snot out of Gallente, and leave FW, you'll still be allowed in their space. What is the Warzone Control Tier? How does that work? I've always wondered about most of this information, thanks for the guide. One thing that still niggles is the standings of FW. For instance if a pilot joins Minmatar FW, so they gain and lose standings with just the Militia corps or do they also gain and lose with the "parent" governments, that is Amarr and Minmatar proper. How long does it take until you become KoS (-5.0) standings with the parent governments and if you leave FW have to repair that with them before going back into their space? Awesome page, used it tonight to understand the Dust link in my FW system. Bookmarking this page and linking it to my whole corp. Well done! If I am in Amarr militia and run a caldari plex, do I get LP based on amarr or caldari tier? Base capture for a novice plex is 10 minutes with each larger size adding 5 minutes? You get LP based in your militia tier. Novice takes 10 minutes, Small 15 minutes, Medium and Large 20 minutes. I quite often link this to people new in Militia who start asking random questions. Any chance of a new post or revision to this one next week when Kronos patch hits? Thanks for your article, it's helped a lot of pilots. One can't cloak inside a plex now that Kronos has been released. This is a bit older but still valid, thanx for help! Gona do some pew pew and get few LP.